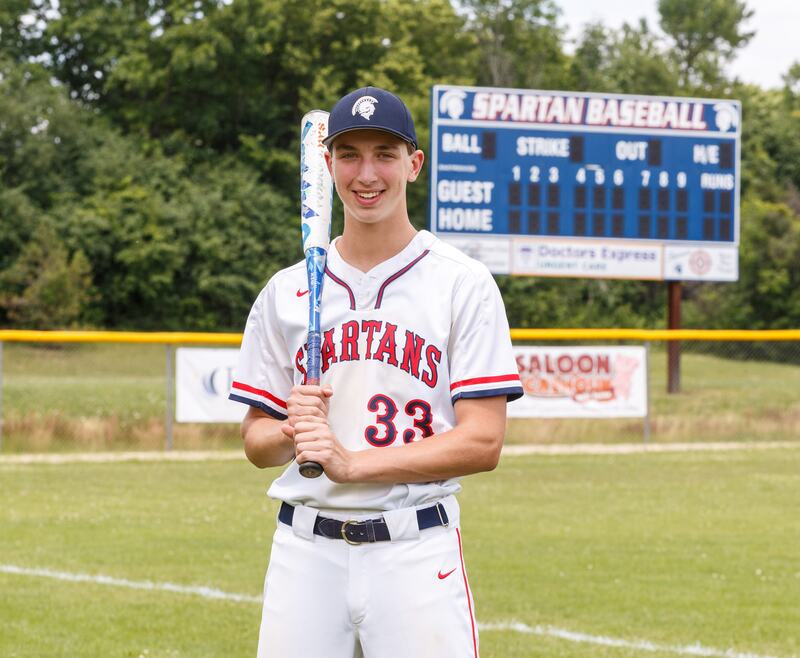 Brookfield East junior Danny Butler likes the cerebral part of the game of baseball. That's why he stuck with it in his younger years. 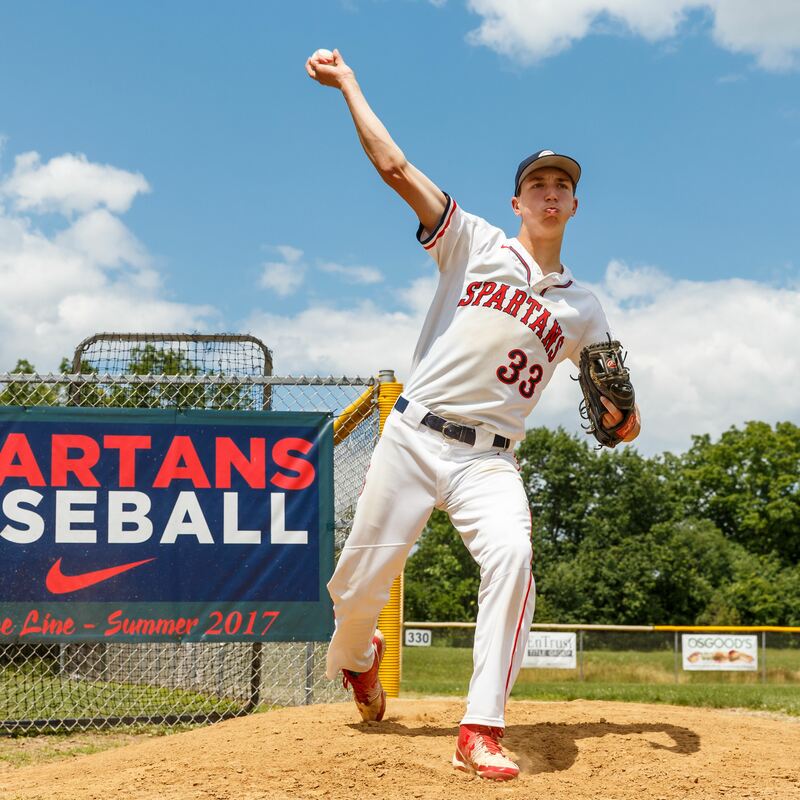 "Some people say it's a slow game," the Spartans pitcher-shortstop said the other day. "I look at it as more strategic. How you play it. It always keeps me engaged." Butler then explained his thought process as a pitcher and a shortstop. "What I like best - I like making the batters look funny, I guess," he said smiling. "You always like changing your speeds and your direction of the ball. If they're not ready for the ball, they will be way out front and I've seen some pretty funny swings." He likes having his head in the game as a shortstop also. "I like shortstop - the amount of (responsibility). You have to know what's happening every play," he said. "You have to know wherever the ball's hit, where to go, who to throw to. Knowing the situation, being unselfish all along. Not many things come as a surprise. I'm not afraid to get dirty. diving is fun and enjoyable." First-year coach at East, Steve Bartlein, talked about Butler's approach when pitching. "Being competitive beyond any pitch he throws - when he is on the mound he can throw any one of his pitches to get guys out," he said. "He doesn't try too much. He doesn't try to take over the game himself. He lets his teammates work by letting the batters put the ball in play. He's very confidence in his pitches. He is very competitive and can throw them on any count." Butler talked about his pitching. "My pitching strength is my location and the number of pitches I can throw," he said. "In a game I have a fastball, curveball, sinker, change, knuckle and a two-seam. On the side, I'm working on the same thing as a curve ball, but I throw it from a 3/4 quarter arm angle outside so it kind of comes sideways so it's kind of looks like a slider." Photo by Alan Herzberg, SportsPhotos LLC --- Danny Butler is the Spartans' lead-off batter, batting .311. Bartlein is also pleased with Butler's defense. "At shortstop and at second - wrap them together - there are three and four plays that stand out with runners and second and third (so far this year)," he said. " A guy hit a line drive up the middle and he (Butler) makes a diving catch. "Another batter hits a ground ball up the middle, he backhands it and throws the runner out. In big situations too. Being confident, being able to focus pitch by pitch in the field helps us as a team and I think it's his biggest attribute defensively." Butler, who earned honorable mention All-Greater Metro Conference as a pitcher as a sophomore, talked about how his success helped his confidence this year. "I didn't realize how much playing time I would do. I was kind of new," he said. "But it was different than I expected," he said. "Seeing what I could do last year and knowing I could improve, it really helped out my mind set this year. I knew what I wanted to do. I wanted to do better. I wanted to have a pretty good year." Bartlein added his thoughts on Danny's early success. "To be in a conference as competitive as it is and to be an underclassman and receive such an honor, has to boost his confidence and I think that's what it did for him; coming back and feeling he can do it in this conference. " Butler talked about his thought process with a bat in his hand this season. "I like to go after the first pitch. I'm aggressive" he said. "Most high school pitchers start you out with a fastball somewhere in the strike zone. I like to jump at the first pitch. With two strikes I'm going to choke up a little bit, shorten up, take a step back in the box. Anything that's remotely close, I will just try and get a bat on it." He also talked about his approach at the plate. "I'm a solid hitter," he said. "I like to attack the first pitch. I go up there looking to hit. I'm not up there looking to walk. If I see a first pitch that I like, I like to hop on it." Butler also enjoys batting with runners on base. "Yeah, it's a good feeling," he said. "I try to hit it in the gap with guys on base. If we're hitting, I'm feeling pretty good because the pitcher's not very happy giving up hit after hit. It takes a little pressure off me but still I'm just looking for the pitch to drive." Bartlein is pleased with Danny's hitting approach. "Being our lead-off hitter, he not only starts the game but they're the ones coming up in the sixth and seventh inning in some key situations," he said. "He'll have a big at bat, whether he has to fight off pitches, or come through with a hit or sac fly. He give us competitive at bats; not an easy out." Bartlein knows that Butler still can get better down the road. "Baseball is one of these sports where you look to how do you want to advance yourself," Bartlein said. "Fundamentally, there is always fine tuning. An area he can work on is fine tuning mechanics - at the plate, in the field and on the mound. He can improve extra velocity, extra bat speed. "As he's growing, strength is another thing he can work on. That's one of the areas he can improve on in the off-season as he's developing as an athlete. How is he is going about his business outside of his sport. Maintaining good friendships and working hard continuing to lead in other sports he can develop these competitive edges." Bartlein initially saw Butler from the opposing sideline, as he was an assistant coach with the cross-town rival Brookfield Central Lancers. Photo by Alan Herzberg, SportsPhotos LLC --- Danny Butler has 6 pitches he uses to compile a 0.63 ERA, 3 wins & a save. "First time I legitimately watched him play was in an open gym this past year in February," Bartlein said. "We started to do some open gyms and the parents ran them. I came and watched him throw off the mound a little bit. That was the first time I legitimately saw him play." But Bartlein was well aware of Butler because Steve taught at East. "I would see him in the hallways and how he interacted with his friends," he said. "I knew what the teachers would say about him. One of the teachers would rave about him in class. Athletically, his volleyball coach, Tim Owen, spoke highly of him as an athlete and as a competitor. So before I saw him compete, people told me he was a competitor." Butler impressed Bartlein early in the year with his attitude in a rain-soaked game. "Our first game we played against Shorewood, it was down-pouring the whole game. But he's not one for excuses," he said. "He couldn't grip the ball. He didn't use any excuses. He just went out there and competed in that game and kept us in it. That when I knew he was a special ballplayer, a special competitor." Leadership is another important area a team's top athlete's must be efficient at. "Danny is our junior captain," he said. "I think that his peers look at him has a kind of quiet leader. He definitely does step up and say things when necessary. He will chose when to step up and motivate his team. When he does, it's insightful and the guys are receptive to him." Seniors Cole Vento and Sam Gauger are the other two captains Butler pointed out as he was asked about his approach as a captain. "It's a responsibility. I lead by example," he said. "Some days if you're not having the best game, you can't drop your head and pout about it. The younger guys are looking up to you. You work through it, whatever it is. Try and get better. "One of sophomores was pitching the other day and I could tell he was getting a little excited. He was rushing his motion. So I went up and talked to him and said 'Hey, slow it down. Stay calm. Do your normal stuff.' He goes back and ends the inning." Bartlein talked about Butler's leadership skills. "Where Danny is a quiet personality, he thrives in 1-on-1 situations. The guys are very responsive to any critique. It's not Danny's niche to be the rah-rah vocal guy. He's got a lot of insightful things to pass on and say. That's an area I would like to help him grow in." FAVORITE MOVIE: 'Red Tails.' World War II movies. FAVORITE PLACE YOU VISITED: San Francisco. WHAT DO YOU DO TO RELAX? Check my phone, play videos, watch movies. FAVORITE SPORTS RIVALRY: Brookfield Central. MOST MEMORABLE MOMENT: Freshman year, first pitch he threw was a homer. Then had a 1-2-3 inning. WHAT DO YOU WANT TO DO IN THE FUTURE: Would like to go into aviation to be a commercial or private airlines pilot.